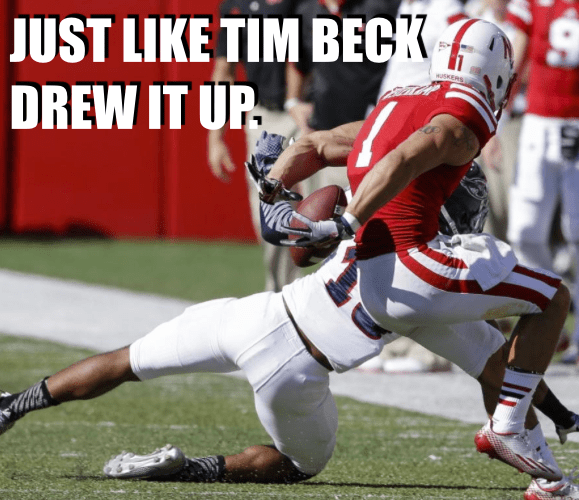 Big Red Fury | The fun side of Husker football | Page 25 of 25 | Come for the snark. Stay for the analysis. The cover was pulled off the 2014 edition of the Nebraska Cornhuskers yesterday and what hid underneath showed all the potential of classic Husker football muscle. Like a 1970 Firebird being taken out of hibernation, the Huskers had a rough few minutes before blowing out the cobwebs en route to a 55-7 win over FAU. Between the offensive penalties and FAU seemingly moving the ball at will, there was just enough anxiety early in the first quarter to have fans checking the tightness of their seat belts before the season long roller coaster took its first big plunge. But the plunge never happened. The Huskers clicked. The gunk was flushed out of the carburetor and the team’s 6.6 liter engine roared to life and left 784 yards of rubber (and a few FAU Owls) on the road. On the offensive side of the ball, everything that could go right, did go right and on these rarest occasions, it’s only fair that much maligned offensive coordinator Tim Beck gets ALL the credit for what happened on the field. In the end, this Huskers and Owls matchup had all the suspense of a Firebird vs Gremlin stoplight drag race but it was refreshing to see a season opener to be so much fun for the first time in a long while. This was one of those signature Nebraska steam rollings from the days of yore that left the peanut gallery grasping at straws for stuff to complain about, allowing confusion and mystery to take center stage. A shutout would have been grand, Pyper but remember, these are college kids. It’s not all football all the time. They have to go to school and learn stuff, such as how to spell “them.” Sorry to be a spelling troll but ‘e’ and ‘i’ are nowhere close to each other on a keyboard. Yes it was an awesome game, Andrea. Amber, the final score (as noted in the third line of the very post on which you commented) was 55-7. Also, just in case the clerk at the Boost Mobile store didn’t give you the full rundown, the device you used to ask your question has the ability to answer virtually any question you may have be it about football or the mysteries of the cosmos. Seriously? What the F, Mary? Thanks for the kind words but are you sending someone a secret message via Facebook comment? Southwick… Big Clyde’s adopted son? Are these clues for season 2 of True Detective? The only real nugget of on-field intrigue came on the final play of the game. Nebraska beat FAU 55-7 and passed the ball on the final play of the game. This one's for you, Carl. Was Johnny Stanton’s first-ever pass attempt Bo Pelini’s final FAU to the team that fired his brother Carl or was it simply a chance to give a third string quarterback the chance to throw the ball on an obvious passing down? 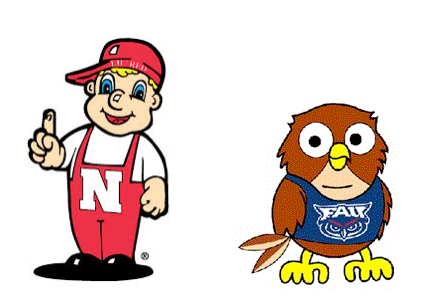 Will the Florida Atlantic Owls deflate Little Red this afternoon? The FAU Owls, man. From the college in Boca Raton that’s had a football program since 2001. You know, the school that fired Carl Pelini. Confidence: HIGH – Will be wearing red in public all day long. Not even bringing a back up shirt to our watch site! Scouting Report: FAU goes by the Owls because the land on which FAU’s campus was built is a designated Owl sanctuary. Owls are found on every continent on Earth with the exception of Antarctica and some remote islands. As nocturnal hunters, their feathers have been adapted for silent flight. Owls use their extremely strong talons to crush the skulls of their prey. Ideal Scenario: Little to no skull crushing at the hand talon of the mighty Owls. Offensively, the Cornhuskers show some flash en route to hanging half a hundred on the board. Botched plays and fumbles are minimized to the point where fans are convinced this team is a well-oiled machine. On the other side of the ball, the defense holds until the reserves give up a few points in garbage time causing skeptics to start fretting about the 2015 season. Over/Under on Angry Bo Close Ups: 7. Yes, the bar is set high for a coach supposedly mellowed in the off-season but can Bo’s meds fend off a bad penalty call? And how often will the announcers bring up the Carl Pelini connection with the intimation that Bo is out for revenge? Where’s Carl? Watching from the roof of Oldfather Hall. Wait, is Oldfather even taller than Memorial Stadium these days? Whatever you do, don’t smuggle a one-hitter into Memorial Stadium on game day lest you want to catch this look from Bo Pelini. Coach Pelini used his pulpit at the first Big Red Breakfast of the season to go off script and speak out against the dangers of the marijuana. As Bo enters his 7th season as head coach and weed becomes more legal by the day, why did he wait until today to go all Nancy Reagan? It was so out of left field no one even reported on what he had to say about the upcoming season. Pity those poor grown ups who dished out some serious loot to get a sunshine enema and ended up getting lectured on the dangers of getting the munchies. But back to the question at hand. 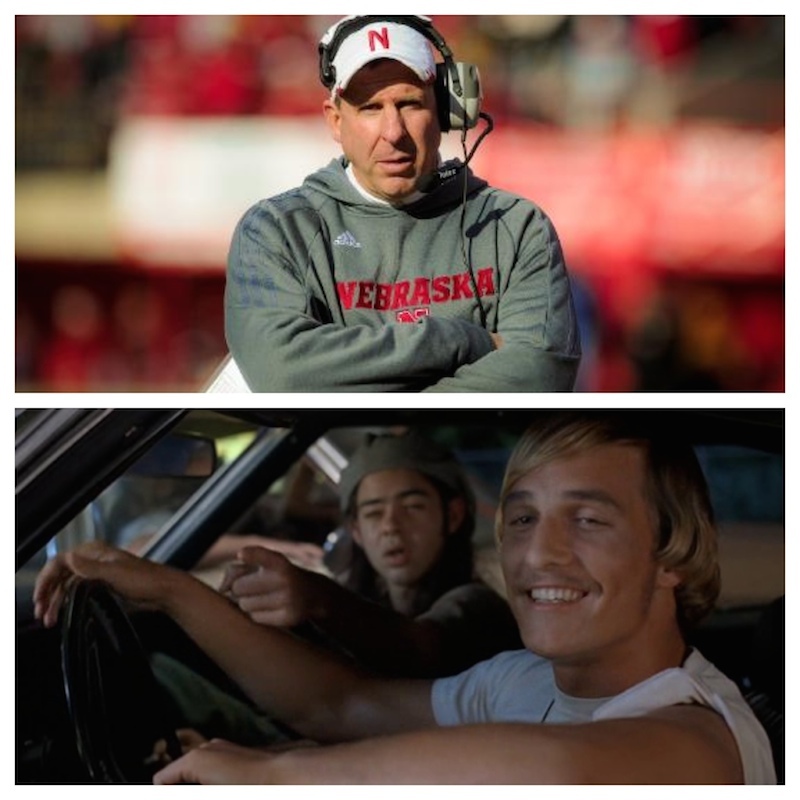 Why is Pelini suddenly so anti-pot? Could it have anything to do with the NFL waiting to confirm Josh Gordon’s year-long suspension after fantasy league drafts have taken place? What are the odds that a guy from Ohio who was named after Ohio State and Cleveland Browns running back Bo Scott would done whatever it took to be able to draft a Cleveland Browns player who absolutely crushed it in fantasy football in 2013? I’d say the odds are about as good as red balloons flying in the sky above Memorial Stadium sometime within the next three months. Seriously, Bo’s rant was all Josh Gordon’s fault. Boom. Dots connected. Mystery solved. SIDE NOTE: I played fantasy football for the first time ever last year and won a league filled with salty veterans thanks to needing a WR mid-season and picking up Josh Gordon on the basis of being the least sucky available player. That Sunday he went HAM and lead my charge from worst to first. Lincoln Journal Star Mentions Tommie Frazier. Confusion Ensues. … and got trolled by a fan named Jan? For me, it is impossible to not think of Billy Bob Thornton when reading that comment. 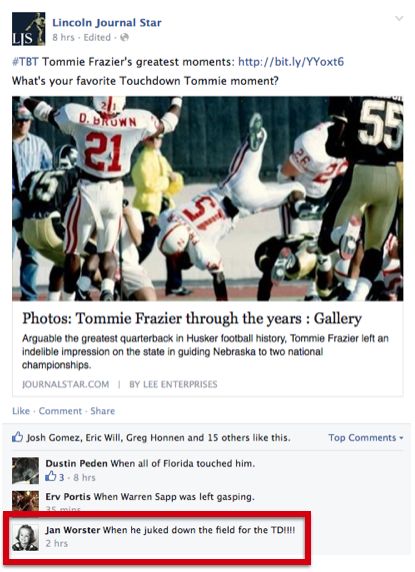 Oh, that time Tommie Frazier scored the TD? Is there a particular one of his 36 rushing touchdowns that stands out among the others? Maybe one that was extra jukeyer, perhaps? 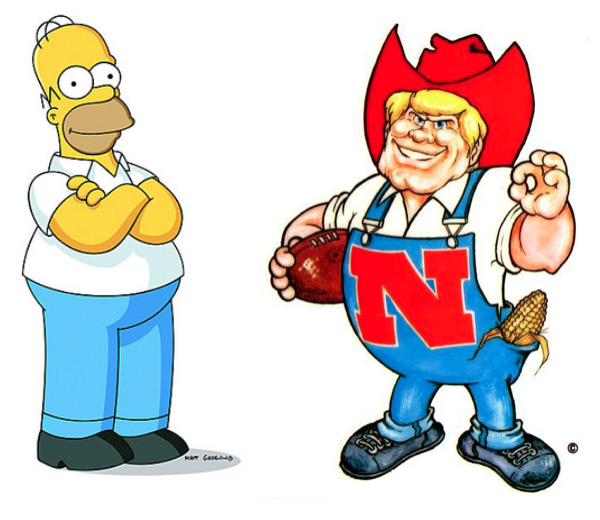 What do Homer Simpson and Herbie Husker have in common? They both peaked in the ’90s. Cheap joke aside, it’s the sad truth. And coincidentally, it was discovered (stumbled upon) while watching “The Springfield Files“. Out of almost morbid curiosity I found FXX on the TV last Sunday morning with the intention of hate-watching just enough of Every Simpsons Ever to get angry about how things aren’t as good as they used to be. 14 hours later, I reluctantly peeled myself off the couch with bleary eyes and a face sore from an entire day spent laughing. Oh Troy McClure, I didn’t realize how much I missed you. The good ol’ days were so much better than remembered. During the time Dr. Tom closed out his coaching career with a 60 – 3 run, the Simpsons’ staff was cranking out some of the best work of its soon-to-be 26 seasons. Toss in Frank Solich’s first two years at the helm and you have the entire peak of the series covered. Out of the first three non-clickbait best episode lists I found, only one boasts an episode beyond 1998 – 99’s 10th season with “Brother’s Little Helper” sneaking into the final spot. At the time, this defeat simply seemed like a third fluke Texas upset in a row. 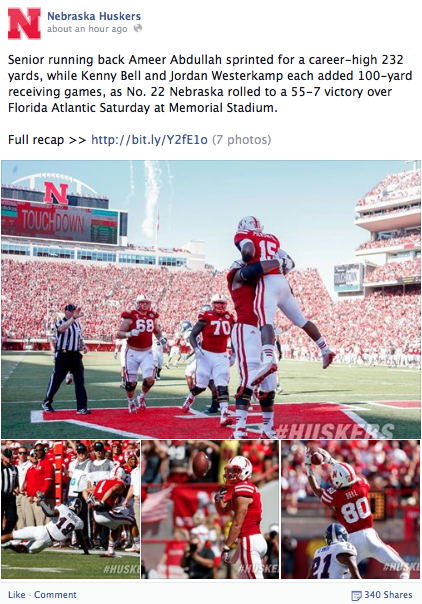 After all, the Huskers got their revenge five weeks later in the Big 12 Championship Game. But looking back, this was the blip that signaled the end of a legendary run- the faint SOS that things would never be the same. The cargo ship full of hot pants was about to run aground. Even with a rebuilding/re-loading season under Solich’s belt, the Huskers could no longer run the table, even at max power. 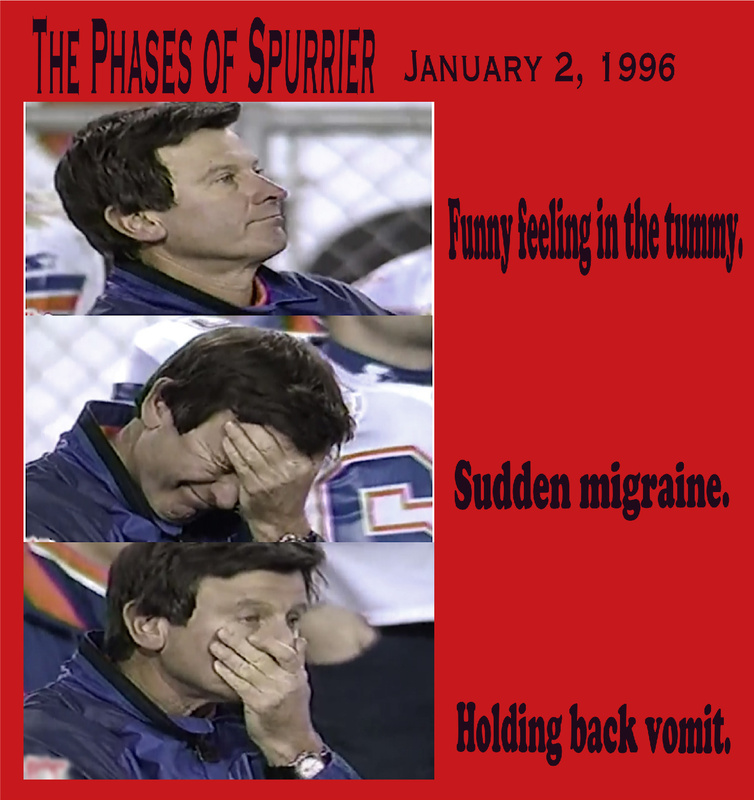 Since 1999 the Huskers and the Simpsons have been stuck in a 15 year purgatory of mediocrity. They’ve each shown flashes of brilliance (and the dumb luck of losing their way into the BCS Championship Game) but neither has been able to muster a truly breakout season. Somehow they’ve been able to maintain a level of just good enough to get into the “national conversation” a few times a year. Heading into this season, The Simpsons’ ratings are at an all-time low. The Huskers are locked in at 22 – a ranking that’s a combination of also-ran pity and hopeful optimism. Both franchises have the resources and depth to string a solid run together. Can they actually do it? Or will this be another season of fans having late night YouTube sessions to keep the memory of the glory days from fading even more? 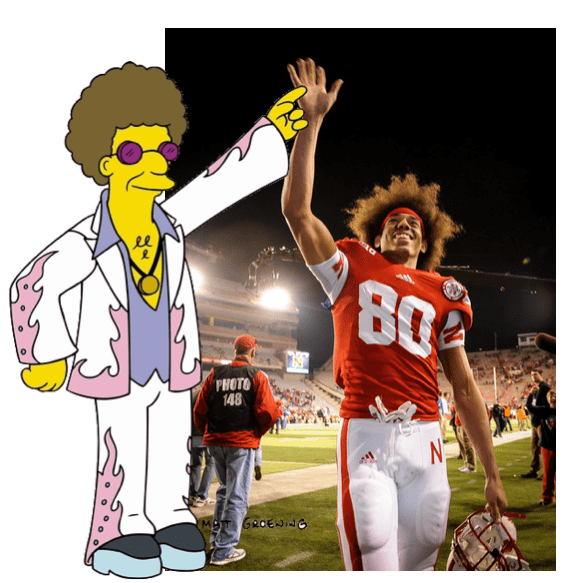 Here’s to a year where Disco Stu and Afro Thunder run wild like it’s 1997 all over again. Bo Pelini Wears Blazer. 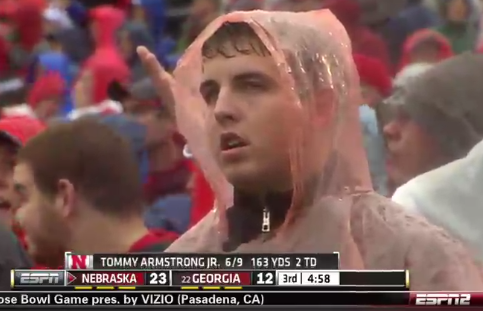 Husker Nation Loses It. It’s finally game week in Lincoln and the biggest news of the day was Bo Pelini absolutely rocking a red blazer at this season’s first Monday press conference. 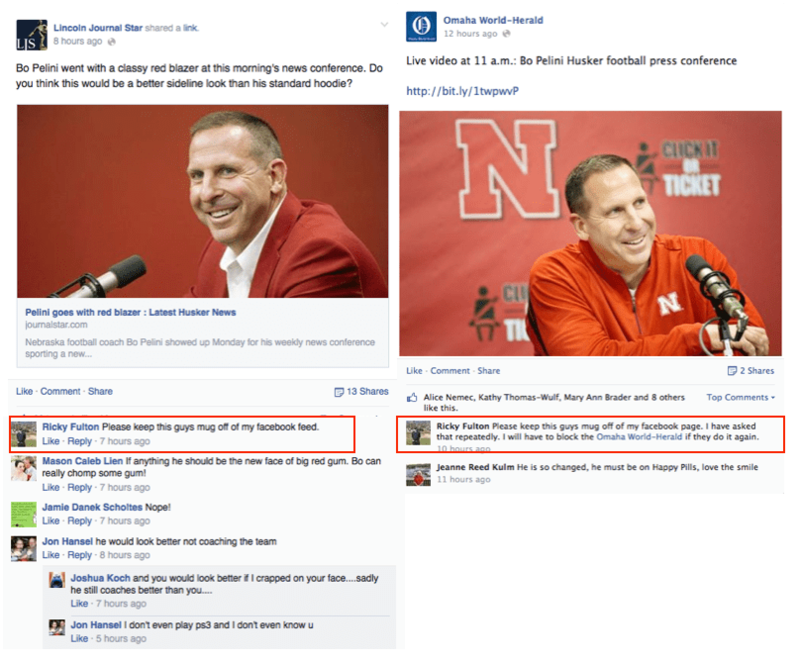 However, Ricky Fulton took to the Facebook pages of the Lincoln Journal Star and Omaha World Herald to object to the new and improved, shiny happy Pelini appearing in his newsfeed- even going so far to threaten to “block” the World Herald if it ever runs a story featuring a photo of Pelini again. Um, Ricky, if the content of the Journal Star and World Herald appears in your newsfeed, it’s because you took the time to like their pages. In the the same place where you clicked “Like,” you can click “Unlike” and never be harassed again. Or, you could take the time to come up with a wittier, non-repetive comment. Over the weekend the Lincoln Journal Star let Ameer Abdullah’s slippery new secret weapon out of the bag. By all accounts Abdullah will be the first running back in college football to wear adidas’ new line of guacamole injected gear. If you thought he could slip through a hole like a greased pig before, wait till you see how he does slathered in $68 worth of guacamole upgrades at Chipotle. How adidas was able to keep such an innovative, technological achievement under wraps until a just a week before game day is some Skunk Works level secrecy. Or, upon further review, this spy shot could have been recycled from the Gator Bowl against Georgia- a game highlighted by mud, a ridiculous 99 yard bomb, and a hard-fought Husker victory over a worthy SEC opponent or an injury riddled SEC-also-ran, depending on your world view.